As you know from reading my previous posts, there are no above ground churches inside Iran. Until a few months ago, there was actually one building church, the Central Church of Iran, that was allowed to exist. It was highly regulated and everyone who walked in the door was registered with the government. Many of them were harassed and persecuted as a result, even though the church was allowed to exist. It too has been closed, leaving every Christian in the country with the choice of finding an underground house church, or plugging in to Church 7, our global satellite Church for Iran. You can read more about this strategy in my post, “Our House Was Converted into a Church”. Below, I have copied an email we just received from a Church 7 member, whose family found themselves orphaned after the Central Church of Iran closed it’s doors. I know you will find it encouraging. There is no doubt the Lord is using Satellite TV to transform Iran into a Christian nation in this generation. My name is Amir and I am a member of Church 7. Through this letter, I want to thank you for not leaving us alone. You provide food for us who are alone in Iran. My wife and I always cancel our plans on Friday nights in order to participate in Church 7. Sometimes we even invite friends to come to Church with us by telling people that Church has not been closed after all. We record all of Church 7 programs and when we gather with our friends, we watch them and worship together. The Lord has been faithful, just as he promised, and has not left us alone. Even after the closing of the Central Church of Iran, of which we were members, we have not become orphans. We have a Church to go to, where we worship and receive our teachings. I want you to know that we love you all and to let you know that for us, your programs are a living hope. Thank you for this post. 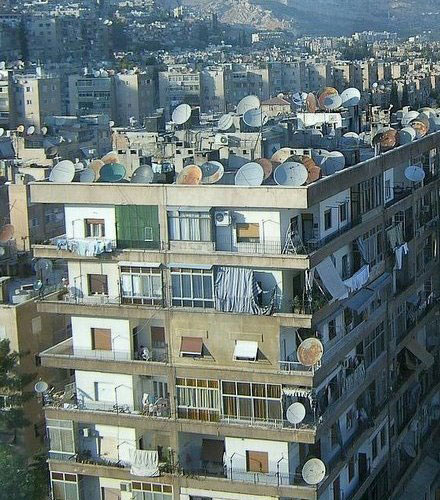 I’ve also heard of Iranians defiantly installing and reinstalling satellite dishes on TV and I’m loving it! I admire their guts and their passion and their faith. It’s absolutely fantastic that the church exists in Iran in spite of the government’s stance.